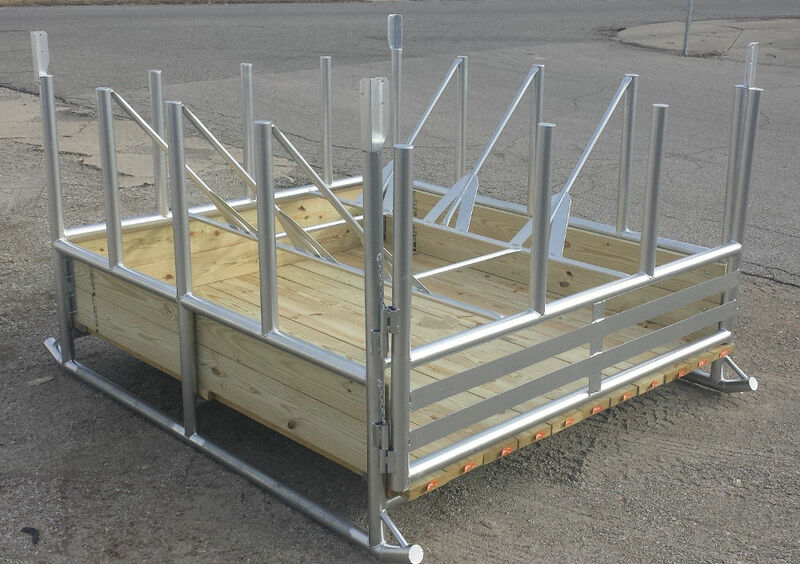 The STVL-2882GF cattle hay feeder is a combination hay saver hay feeder that will service any animal over 4’ tall. It is a great feeder for horses, horned cattle, exotics and everything else you might have. This feeder is especially popular for highland cattle. It will hold big round bales up to 6’ x 6’. The basket keeps the hay funneling to the center so the animals must continuously reach for it. Made from 10 gauge galvanized steel tubing, this feeder is built to last. Let us know if you want brackets at the corners to put a roof on. Available in: 8′, 12′, 16′ lengths.